Hi! My name is Rolf, aka Rolfie. 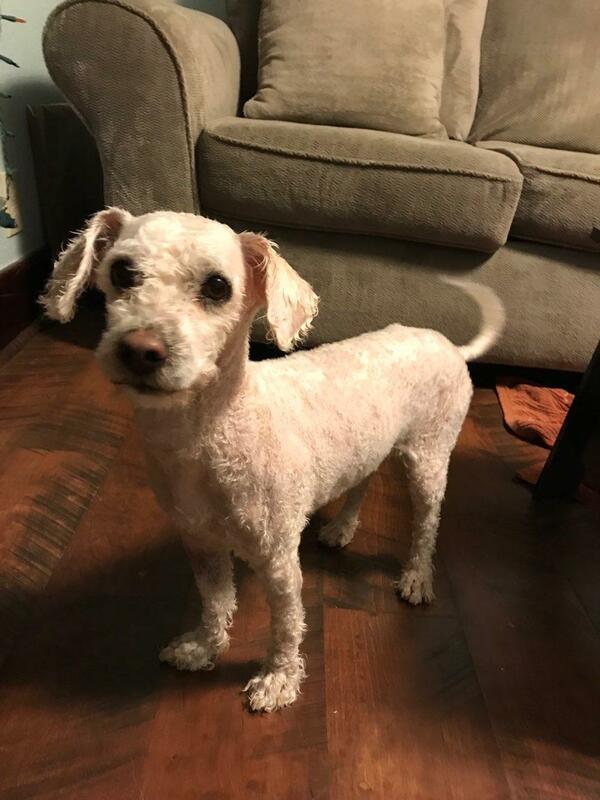 I am thought to be a Maltese and Poodle mix and currently weigh in at 14.5 pounds but I could stand to gain a few pounds. Approximate age is 3 – 5 years old. I am new to the SDR site but I am so excited to find the family of my dreams. You see, I was on my own for a while and it was scary and really lonely. Are looking for LOVE. I am your guy. I love to cuddle and get massages. Just want to be by your side wherever you may wander. Total Love-bug! Like to be active – I am in. I love to take walks in the neighborhood and hikes in the mountains in the Colorado sunshine. Put on my harness, grab my leash and some water. Let’s go! Like to explore – Why yes I do. Checking out my fenced in backyard is so much fun to do. So much to see. So much to do. Like to be chill – I am an easy going, well-mannered boy who is great at entertaining myself with my favorite toys and bully sticks. Live to party – I get along with other dogs of all sizes. Not sure about cats as I have not met any yet but there is no reason to think I would not like them too. If you think that you could be my soul mate, and/or if you want more info, go to the top toolbar, click Adopt, click Dog Application; then fill it out and send it in. A lovely volunteer from Summit Dog Rescue will get back to you as soon as they can.